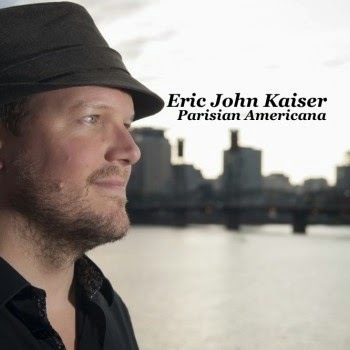 Eric John Kaiser was born and raised in Verrieres-le-Buisson, in the suburbs of Paris. He sings in French, and accompanies himself on guitar. He plays solo, or in a Duo with accordion, or in his 5pc rock band, in which he sings in French and sometimes in English. He moved to Portland in 2006, and has subsequently traveled 10,000 miles annually, via air, land and sea. He has explored the USA, traveled across Canada, and down through the South as far as New Orleans, and up to Washington D.C., where he performed as an "Artist In Residence" at the Smithsonian Museum. Eric John Kaiser has shared the stage with the Welsh super stars the Sterophonics, toured with French star, Tete (who has also appeared as a featuring artist on is album, ("French Troubadour") and the French band Revolver. French Rapper Fefe from the band Saian Supa Crew, also appeared on Eric John Kaiser's album "L'ODydssee". Please check out his page on our website, www.nwam.com. His is listed on the alphabetical Roster page, and also on the Search By Style page under French. Please contact us soon for a quote for your next French-inspired special event. There are two excellent videos on our website.